Upington Accommodation at its best can be found at Esme’s Guest House, with Mr. Loodt Willemse, your host. Esme&apos;s Guest House is a unique Bed & Breakfast stayover situated near the banks of the Mighty Orange River, prepared to welcome tranquility seeking tourists all year long. Enjoy being midway between Kimberley, Springbok, Calvinia, Vryburg, Namibia, De-Aar, with easy access to all main roads. The Guest House offers comfortable and relaxing Upington Accommodation, for the holidays, with outstanding service and hospitality. 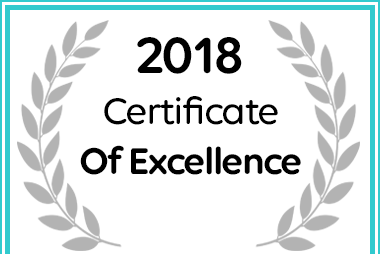 Esme's Guest House received a 2018 Certificate of Excellence Upington Accommodation Award. Copyright © 2019. Esme&apos;s Guest House. All Rights Reserved.